La Decima beckons for Nadal. A 4th Slam title beckons for Wawrinka. Nadal is the favourite on what is, essentially, his home court. Or his favourite at least. If any tennis player can be said to have a home court advantage, it’s Rafa on Philippe Chatrier. Coupled with projected temperatures upwards of 34°C, it was bound to be a difficult day for Stan the Man. Both players walked on court to rapturous applause. Difficult to say who had the crowd behind them though. Let’s call it 50-50 and leave it at that. It was nice to see the place looking so full as well, given, what I feel anyway, was a lack of attendance over the last two weeks. Nadal to serve first. Game on. After a 5 set victory over Murray on the Wawrinka side of things and Nadal having not won a Slam final in over 3 years (although he was runner-up in Australia against Federer) it was only normal for both to be a bit nervous and a bit tight. Even with 10 titles at stake, Rafa maintains he doesn’t think about such things…….a good attitude to have to be sure, but not one that I necessarily believe! Each held serve for the first 4 games of the set, even though Nadal had 4 chances to break serve in the 4th game. It also took 23 minutes to get to that point. From then on it was all Rafa. Wawrinka had absolutely no answer to Nadal’s booming backhand and his own notoriously difficult forehand just could not find any open ground and instead hit the net or was pushed out long by Nadal’s baseline game, upping his unforced errors count. Rafa, meanwhile, seemed hesitant of Wawrinka’s groundstrokes, preferring instead to play short points rather than engage in long rallies that would play to Wawrinka’s favour. Stan’s unforced errors coupled with his inability to get in any good first serves, spelled his downfall and at the end of the set, Rafa was the victor. The only thing Wawrinka could do was applaud the effort and wonder what else to do. Several games later, he bent, splintered and broke his own racket, got a new one and promptly battered himself with it. But he was now faced with an insurmountable task: a comeback. But if anyone could do it it would be Stan the Man. Right? Surely now, in the 3rd set, Stan will make a match out of this. Of course he won’t add himself to the list of bodies that Rafa has unceremoniously dumped in the corner of Philippe Chatrier in 2017- body count= 6. Surely not. That is, of course, exactly what happened. Rafa was ruthless. Superb. Sublime. Vintage Nadal. The Eurosport commentary team said he was moving and playing as if he was 19 years old again and winning his first title. And they were right. Perhaps he was even more brutal here, closing in on La Decima, than he had been the rest of the match. The pace: relentless. The shots: perfection. Wawrinka: exhausted, willing it to just be over. Rafa, the King: calm, cool, collected, and barely broken a sweat, every inch the Master of Roland Garros. And so it ended, after a lengthy rally, Wawrinka’s shot lobbed (not so casually, but maybe willingly) into the net; Nadal on his back, facing skyward, covered in clay, racket tossed 3 feet away. Game, Set and Match. In just over 2 hours. La Decima complete. The presentation ceremony was nothing if not emotional, with Rafa fighting back the tears every minute. Don’t worry: he held his nerve like the champion he is. But Roland Garros held onto its surprises: in the top bank of seats, fans waved banners reading ‘Bravo Rafa’ and ’10’ in official RG colours, the number 10 was emblazoned on the champion’s dais, a video montage of all of Nadal’s 10 victories was played. 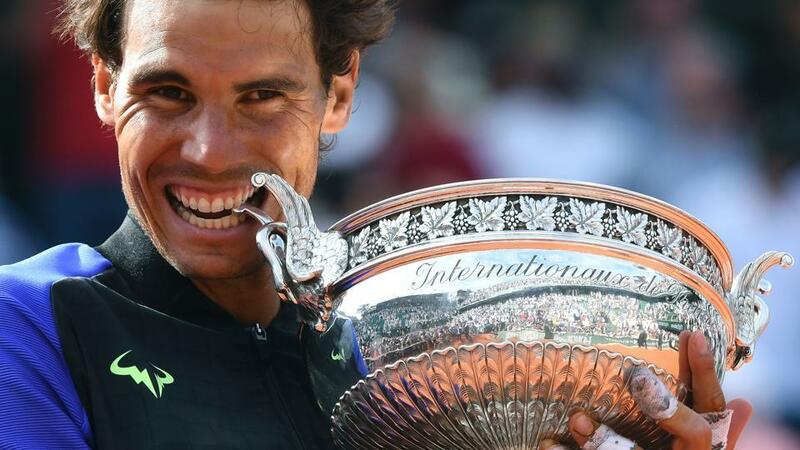 And then, finally, Rafa lifting that trophy for an unprecedented 10th time, and giving it that cheeky bite as he is wont to do. It does give one a shiver down the spine. The best part of all, a replica trophy, inscribed with his name and La Decima, presented to him by none other than Uncle Toni, his long-time coach, who is retiring at season’s end and handing over coaching duties to Carlos Moya. That was a special moment. 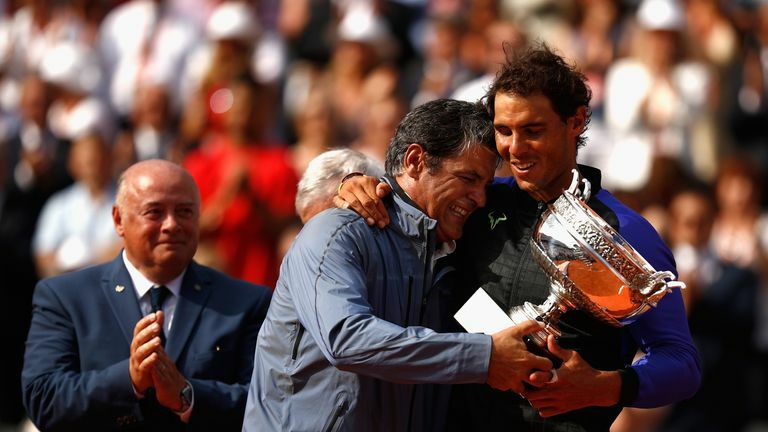 Toni Nadal has been a fixture in the coaching box for all of his nephew’s 15 Slam titles and he will be missed. It was only fitting then, that they shared this victory together. I confess I might have shed a tear and reached for a tissue at this point. 15: Total number of Grand Slam titles, second all time behind Roger Federer’s 18. The grass court season (such as it is) begins in earnest tomorrow, which means Wimbledon is just around the corner. So what does the French Open mean then? Well, nothing really. It’s over, done, fini. However, we have learned an awful lot. Like Jelena Ostapenko, the new no. 12 seed, is now a contender for the women’s title- how serious a contender is a matter of opinion. But we should not be discounting Simona Halep, no doubt she’ll be looking to avenge that smarting defeat yesterday. Nor should we not consider Angelique Kerber, who retains her no. 1 ranking. And Venus Williams is still a name to put in the hat. Which brings us to the men’s game. With Federer and Nadal splitting the first 2 Slams, good money has them in the Wimbledon finals; and their resurgence is definitely good for the game- even if it does bring us back full circle to the good old days when they were the 2 best players in the game. With Murray being off form and Djokovic seemingly on the decline (don’t say that to Agassi though), the dream of a Federer-Nadal final may just come to fruition…….just as well as, for most fans of the game, those seemed like nothing but a distant memory. Because who doesn’t remember 2008 and what was the greatest match ever played? It’s never safe to count out Wawrinka either. Or maybe this is the year for Milos Raonic to win his first Slam title? The straight answer is: who knows? That’s what makes tennis such a great entity in sports. 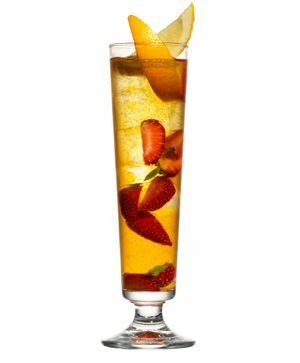 Bring on the Pimms. And strawberries & cream. See you at Wimbledon, folks! And as always, thanks for reading and supporting Splitfocussports. Previous Half-baked @ Roland Garros Part 2.